Happy Winter as daylight grows longer! Welcoming in the new year! Our biggest news is Earth Day 2017: April 15. 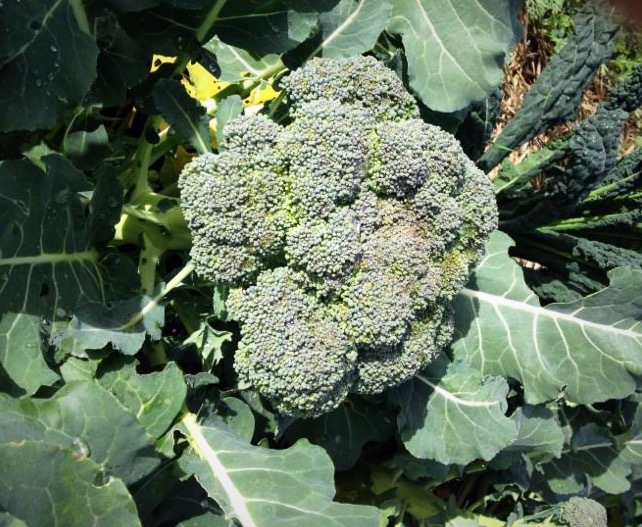 The rains are bringing an abundance of beautiful new cool weather crops of kale, cabbage, broccoli, spicy greens and arugula along with herbs such as dill and cilantro. The fruit trees in the orchard are thriving and the chorus of different varieties of frogs is a joy to the ear each day now. A favorite is our winter squash- So Sweet and So Versatile: classic Butternut, Red Kuri (our favorite-made fabulous pie for Christmas dinner), Kabocha (super sweet like the other varieties) and Delicata (so diverse)-you can eat the skin- so stir-fy, pasta, stuffed, any way you can imagine. Delicious recipes are at the stand for you to try. Lots of great products for seasonal blues: Flu Fighter and Flu F for Kids tinctures really aid in combating early symptoms of a cold or the flu. Also Anxiety Ease and Cough Capture tinctures for those seasonal blues and Breathe Balm (an organic alternative to Vic’s Vapor Rub) great for babies and children. Art in the Park-Dinosaur Caves Park in Shell Beach: Yay, we are approved by the City of Pismo Beach to once again hold our event from May to November. The 1st event of the year is May 7 from 10-5. Connect with the divine feminine and your sister hood. Relaxing, rejuvenating and healing yoga practice. Peaceful yoga using props and gentle movement and positions; all levels and ages welcome from beginner to long time yogis! Bridgette started teaching yoga because she wanted to share all the beautiful gifts yoga has to offer. Bridgette’s classes are peaceful, playful practices of Hatha yoga. Classes help students find a deeper understanding of their own selves and how a gentle yoga practice can bring peace into the busy life. De-stress. Relax! Live happily! Some classes end with a light snack and herbal tea. Upcoming Dates: Jan 19th, Feb 16th and March 16th. 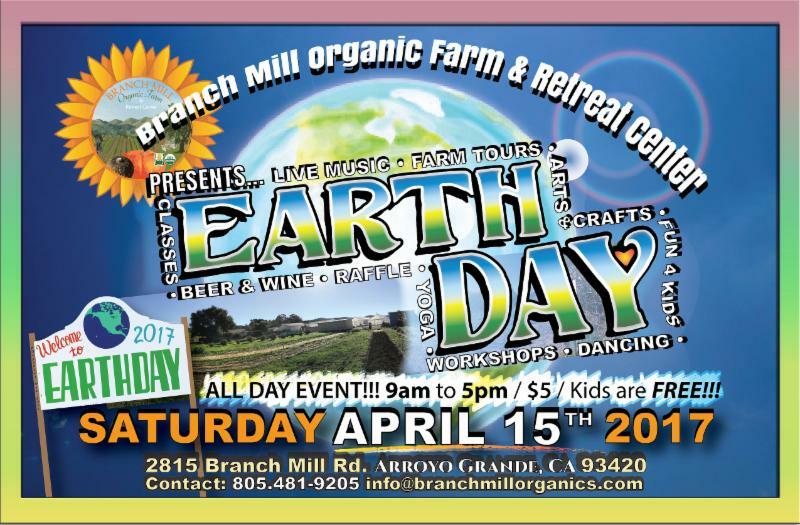 Our 3rd Annual Earth Day is happening on the farm! YEAH! More activities for kids, more yoga, more local non-profits, more music and more community!